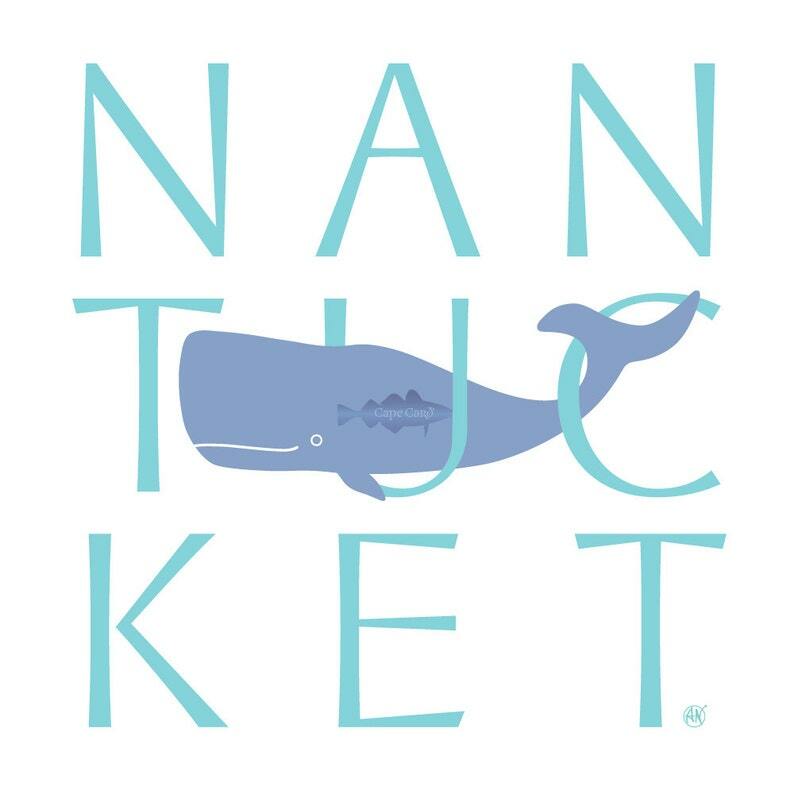 The whale swimming through the U and C in Nantucket is based on the whale weather vane used in my "Cape Cod Gothic." This illustration is printed on Aurora Art Natural heavy archival stock with pigment inks using an Epson Stylus Pro 3800. The image area is 8x8 inches printed on 12x12 inch paper so it can be framed with or without a mat. The print is packaged in a clear cello sleeve with acid neutral backing. This design will also be available in my Zazzle store in large format posters, wall decals, and other applications. If you have specific color needs, the lettering and/or whale color can be changed. Design copyright © by Andrew Newman. All rights reserved. The Cape Card watermark will not appear on actual print.